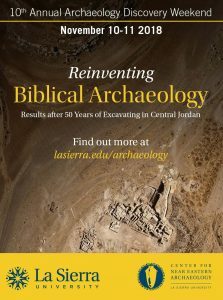 Archaeologists whose research interests have been focused on the historical, as opposed to the prehistoric, past of the Southern Levant have since the earliest days of the profession had to deal with entanglements arising out of the regions popular status as the Holy Land—the land where the lives and deeds of holy men and women of the Jewish Tanakh, the Christian Bible, and the Islamic Koran were lived out and remembered. This special status of the region as the Holy Land has for over a century perplexed and distracted well-intended efforts to mount rigorous scientific archaeological research on the region’s past. Not only have archaeologists working in this region had to contend with the desired and often conflicted pasts of various denominational constituencies, they have also had to engage and navigate a wide range of orientalist, imperialist, nationalist and local desired pasts and political programs in the region that have a stake in how the region’s past is narrated. Given the challenges that such a complex operational environment presents, the fact that the ASOR-affiliated Madaba Plains Project in the country of Jordan has managed to operate continuously for what in 2017/2018 will be half a century is a notable achievement that deserves not only to be commemorated in some way, but that also deserves to be scrutinized for lessons learned. Celebrations in 2017/2018 included a special session and reception at the 2017 ASOR meeting and a mini-conference in Jordan in July of 2018. Reunions and celebratory events marking MPP@50 will take place at various venues over the next three years.